Sturgis 2019 .... July 30th to August 10, 2019...$950. all bikes must be back to the truck by 12pm Sat. August 10. gives you extra time in Sturgis. 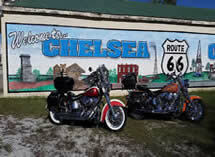 Blast from the past, "trips"
Based in Tampa, Florida, we have been shipping motorcycles since 1994. We have shipped for Harley Davidson, Thunder Mountain Chopper, Lehman Trike, Cycle Rama, not to mention many repeat riders..
.We don't just ship your motorcycle, I also ride. 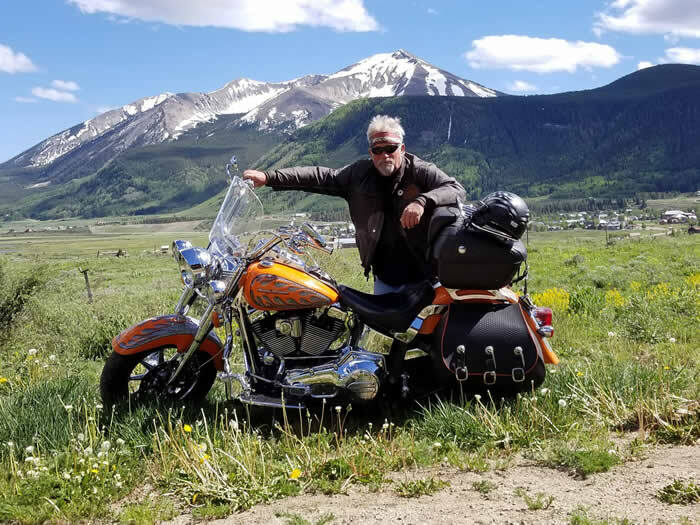 As a shipper you are welcome to ride with me or chose your own route.. After many years of riding the west I know the roads however it's also fun to explore on your own we welcome both. If you ride with me "as someone shipping with me" I will share with you where I'm staying your welcome to stay where we stay or choose your own unique motel along the route. You can expect anything from rafting on the Snake River to staring in a western movie on the set of Outlaw Josie Wales and the best roads in North America. 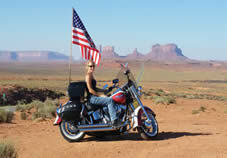 ..Because Kim and I ride on the trips your bikes goes right next to ours.. . 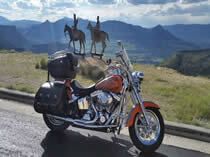 Some of our rides "stories" can be seen in GoFar Magazine. Twice a picture of our rides have graced the front cover. 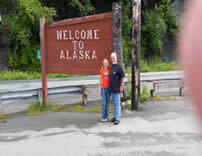 Stories of our Alaska, Canyon, Sturgis and a local ride has been featured. 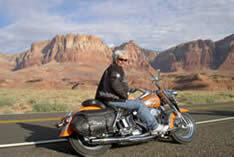 ...If your one bike or more and are looking for The Adventure of a Lifetime join us on the next adventure. 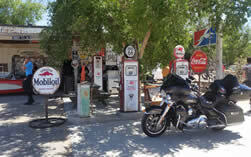 We at Motorcycle Transport have been shipping motorcycle since 1994. we are NOT a broker and are fully licensed and insured. The driver that loads your motorcycle will be the driver that greet's you when it's unloaded. 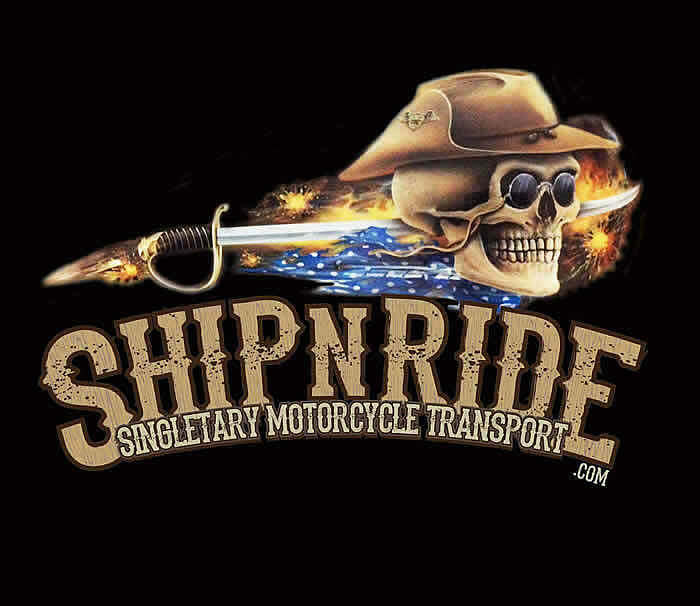 All motorcycle's are ship in a air ride enclosed trailer. When loading your bike we use no pallets, but the best wheel chocks on the market to hold your bike in place, in addition, your bike is then strapped to the floor just as if it was in your trailer. 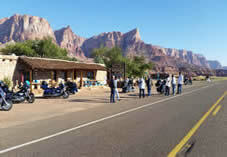 If your one bike or more and are looking for The Adventure of a Lifetime join us on the next adventure. 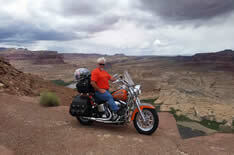 Let Singletary Motorcycle Transport take you to the " Top Of The World".